Massage is the administration by any person of any method of exerting or applying pressure, friction, moisture, heat or cold to the human body, or the rubbing, stroking, kneading, pounding or tapping of the human body by any physical or mechanical means. Who needs a license to do massage? Any person who provides massage as described above for an exchange of something of value (including tips) needs a license. Do I need a business license to open a massage establishment? Yes, you will need to apply to the Cheyenne City Clerk's Office (2101 O'Neil Ave) if your operation will be in the Cheyenne City Limits or at the City County Health Department (100 Central Ave) if you operation will be located outside the Cheyenne City Limits. Will my massage establishment need an inspection prior to the issuance of a license? Yes. 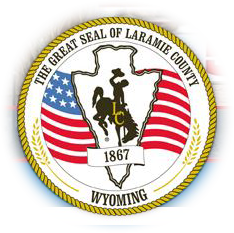 You will need to be approved by our department (and the Cheyenne City Clerk's Office if in the city). The shop must be set up for full operation with all equipment in place for our visit. An inspection can be scheduled with at least one-week advance notice by calling us at 307-633-4090. Do individual Massage therapists and technicians need a license separate from the establishment license? Yes, contact the same agencies as for the massage establishments above.